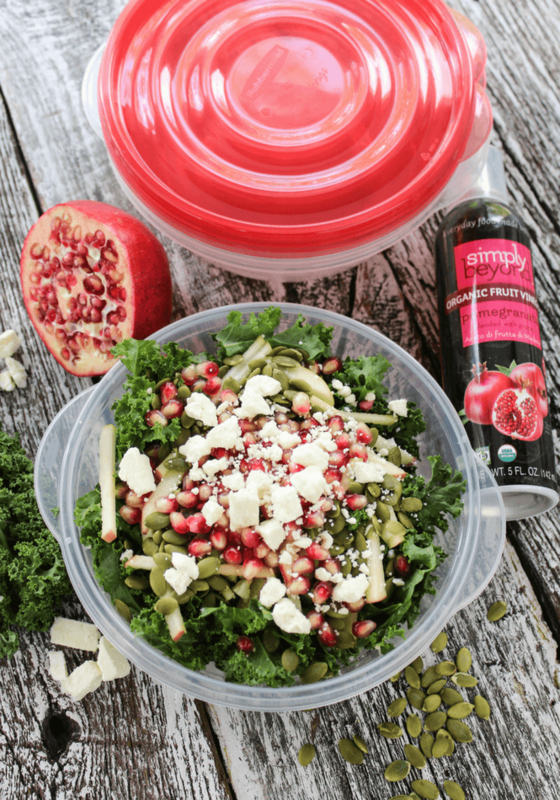 Pomegranate Kale Salad with fresh kale, pomegranate arils, apple slices, pumpkin seeds, feta cheese and a spritz of Simply Beyond® Pomegranate Organic Fruit Vinegar. Place in a Rubbermaid container with Wet Ones® Antibacterial Hand Wipes for clean-up to make lunchtime a bit easier. 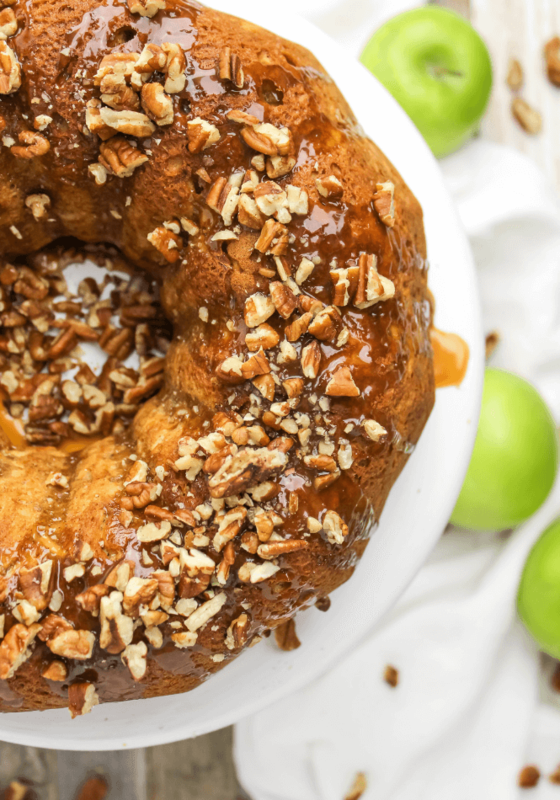 You may think that us food bloggers spend all day cooking from scratch everyday of the week. False. 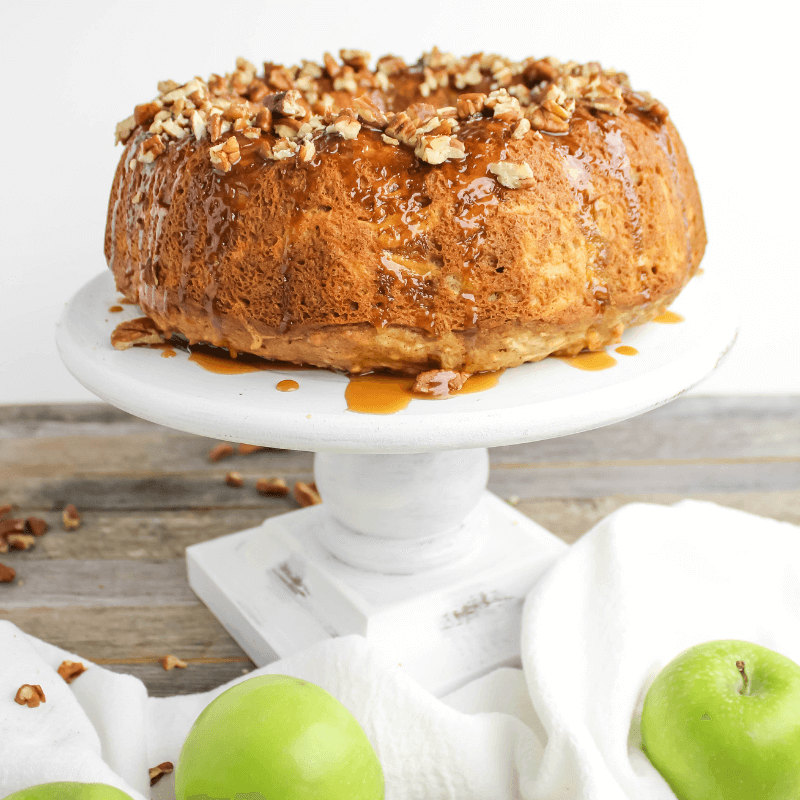 Even foodies like myself need some go-to products and simple recipes to make life easier. Between raising two young children, working, doing household chores, school activities, family time, and everything in between, I need ways to save time in the kitchen! Not only do I have a great recipe today for a Kale Pomegranate Salad, I am also sharing a day of family friendly meal planning. You have all heard that breakfast is the most important meal of the day! A hot breakfast can get you motivated and filling the kiddos bellies before school is important so they can focus on their schoolwork. 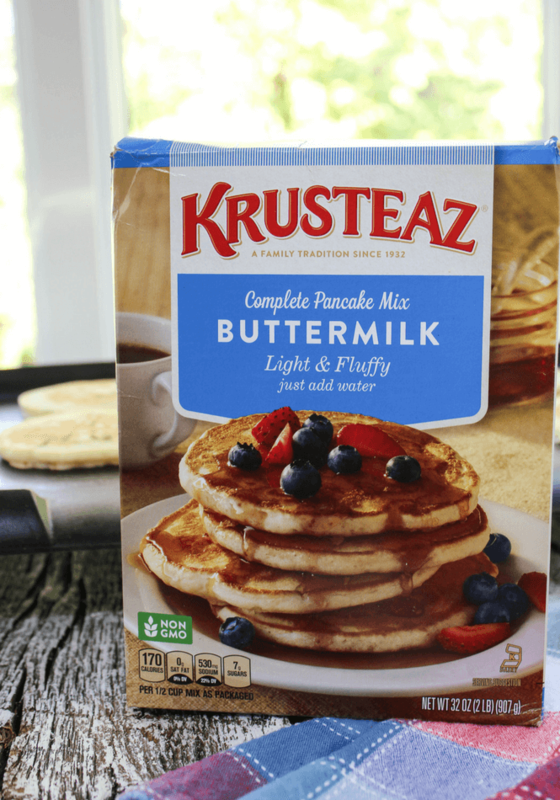 Make a batch of Krusteaz Buttermilk Pancake Mix with some fresh blueberries or mini chocolate chips sprinkled in. Just add water and cook according to box directions. You can even freeze pancakes to reheat in the mornings. 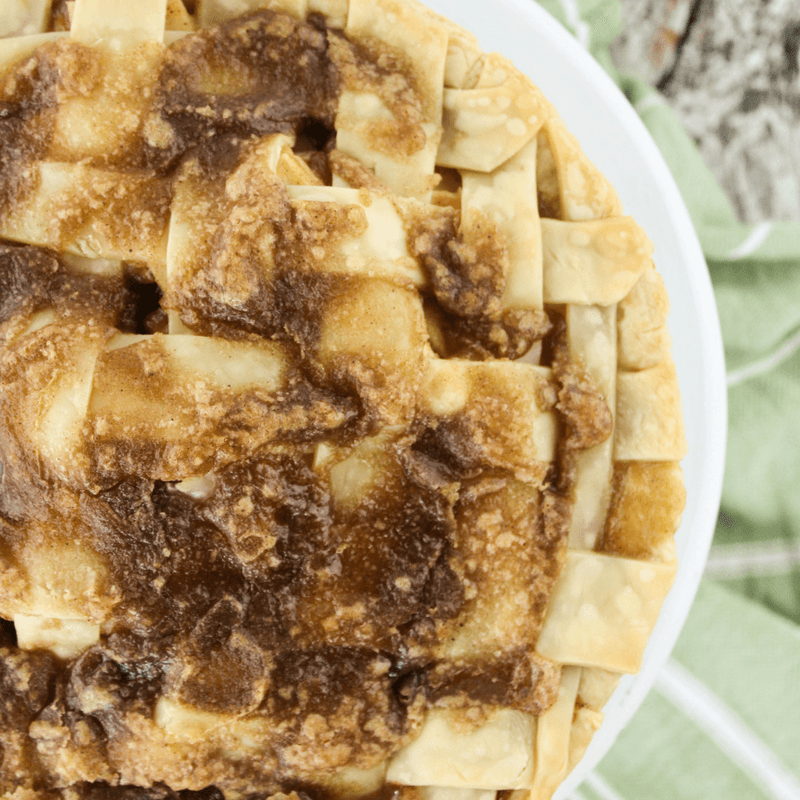 Make a big batch and place in the freezer on a baking sheet. Once they are frozen, stack them and place in a freezer bag. To reheat, place stack of pancakes into the microwave for 2 minutes! 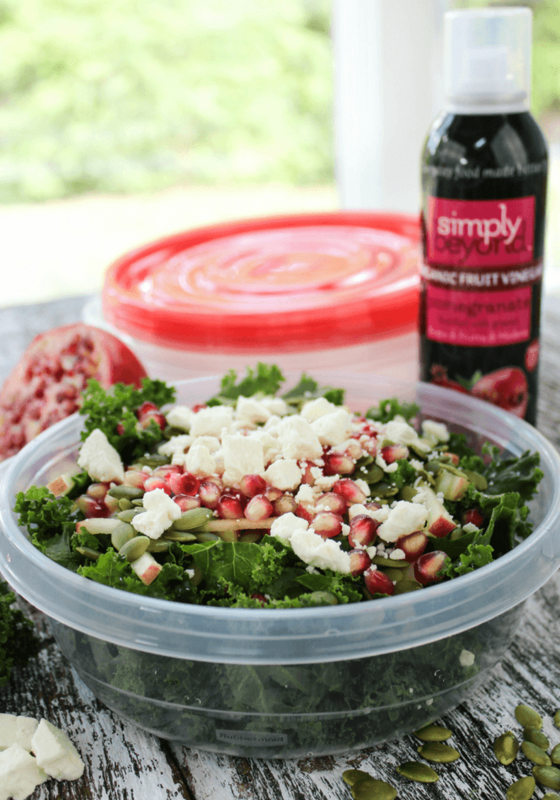 Time for the Pomegranate Kale Salad. 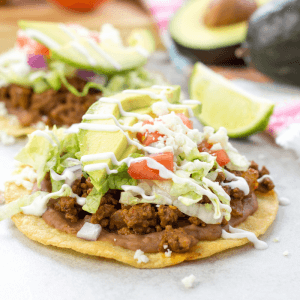 This salad is so easy to put together and tasty (even the kids enjoyed). We are making 4 today and can easily make less or more depending on your needs. Begin by washing all your fruits and vegetables. Place equal amounts of kale into each Rubbermaid container and chop the apple. 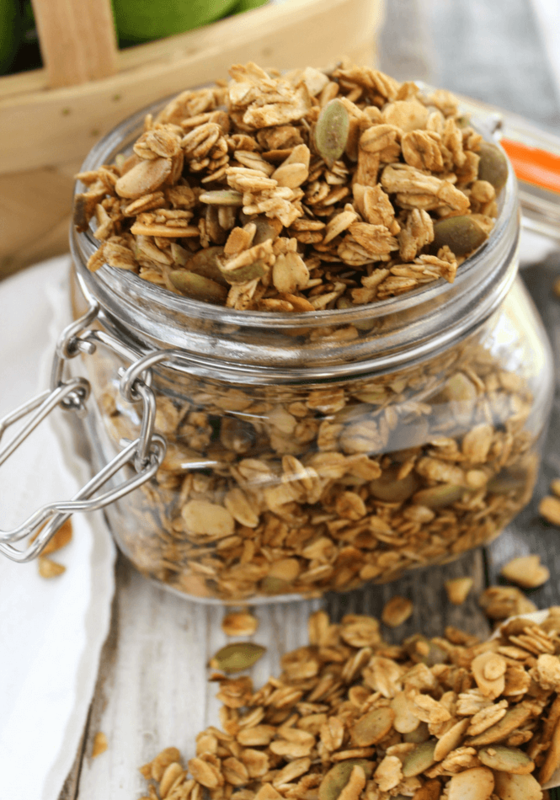 Place 1/4 cup of both pumpkin seeds and feta cheese on top. Remove the pomegranate arils from the pomegranate and toss 1/4 cup worth of pomegranate arils on each salad. 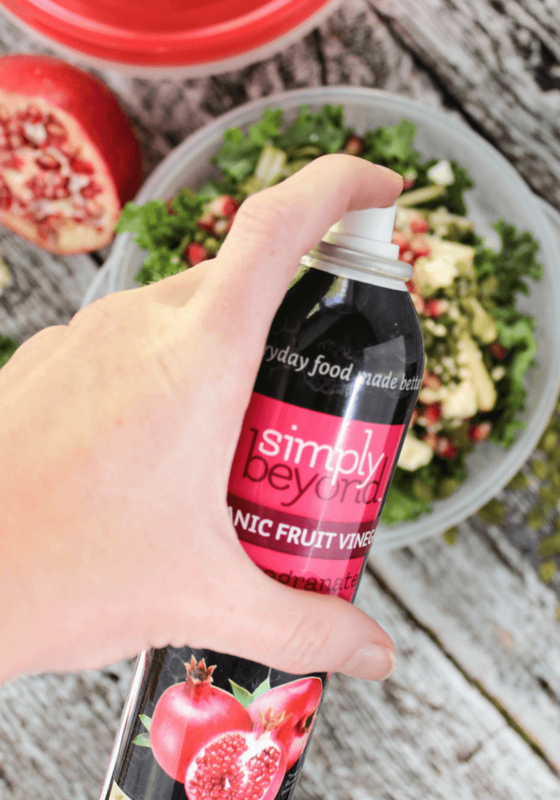 Spray with Simply Beyond® Pomegranate Organic Fruit Vinegar. Seal the lid and place a pack of Wet Ones® Antibacterial Hand Wipes on top to pack in the work/school bags. To easily remove the arils (seeds) from your pomegranate, cut into quarters and place into a bowl of water. 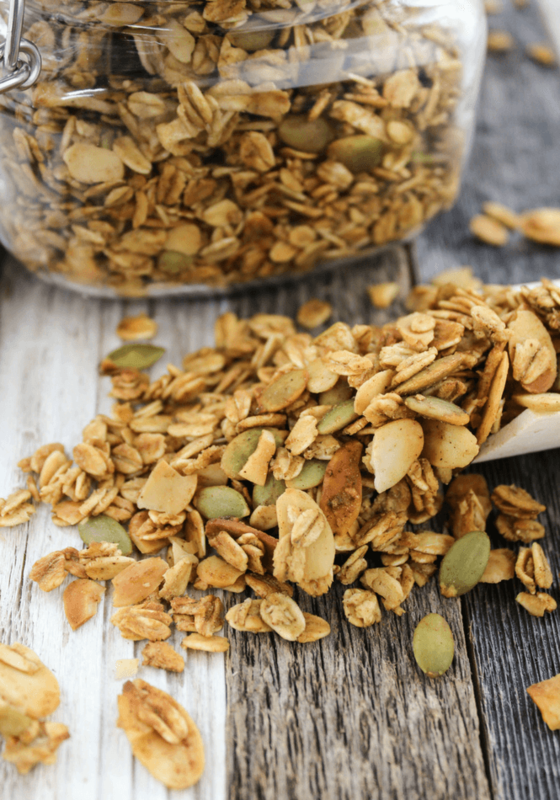 Remove the seeds with your hands in the bowl of water. 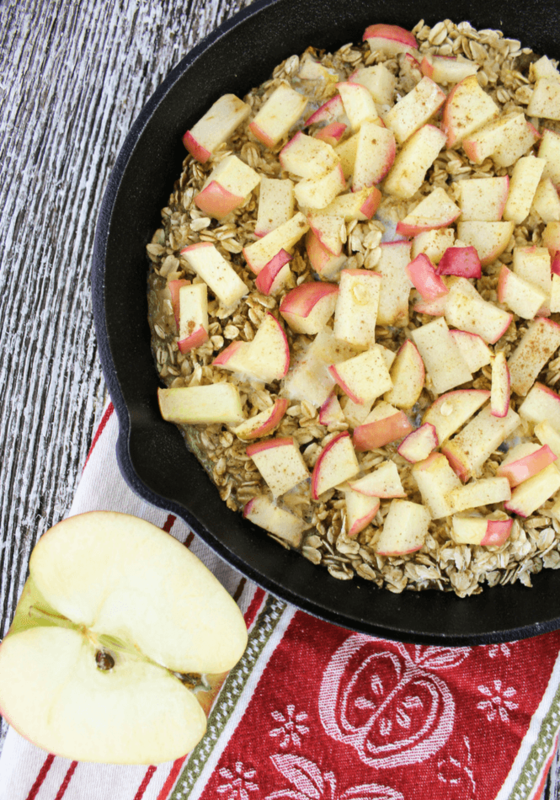 Chop kale and finely chop apple. 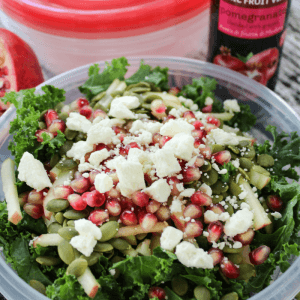 In 4 separate containers, place 1/4 cup feta, 1/4 cup pumpkin seeds, 1/4 diced apple, 1/4 cups pomegranate seeds on top of 1/2 bunch of chopped kale. 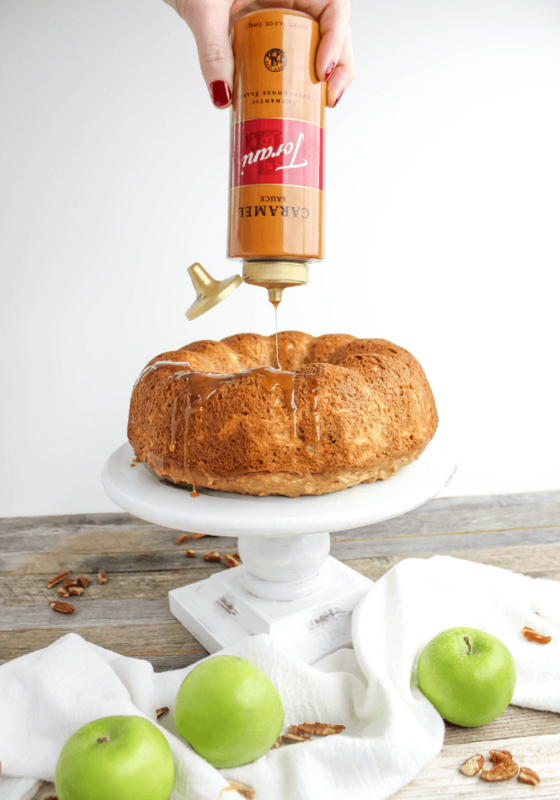 Spray each with Simply Beyond® Pomegranate Organic Fruit Vinegar. Use as much or as little as you like. Simply Beyond® Organic Fruit Vinegar is crafted from the purest, organic ingredients. You get the perfect balance of red wine vinegar and cranberry or pomegranate juice to enhance the sweetness of a dish. Spritz on salads, pork chops or try some on top of ice cream with fresh berries. 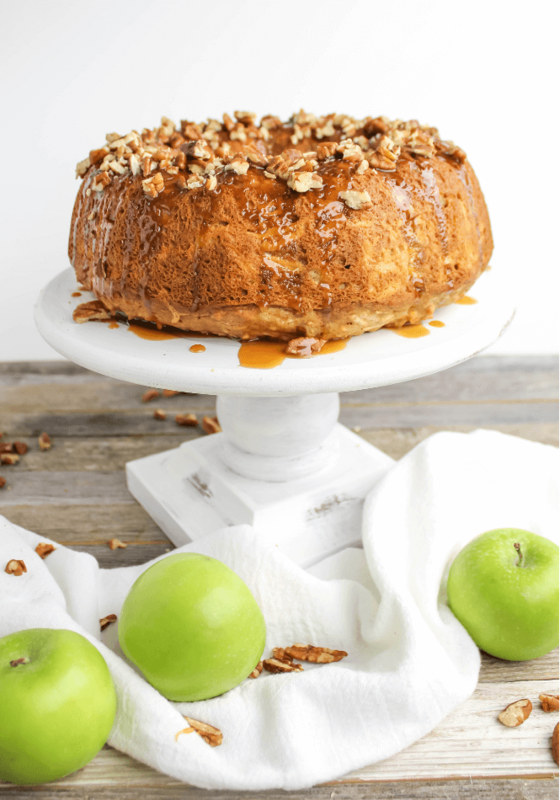 Find out more about Simply Beyond® products and use code babblebox10 for 10% off on all orders through 11/30/2017. Wet Ones® Antibacterial Hand Wipes are a must-have product, especially for moms like myself. Wipe out dirt and kills 99.99% of germs without soap and water. Wet Ones® come in travel packs and singles that are perfect for throwing into your bag and are hypoallergenic and easy on skin. 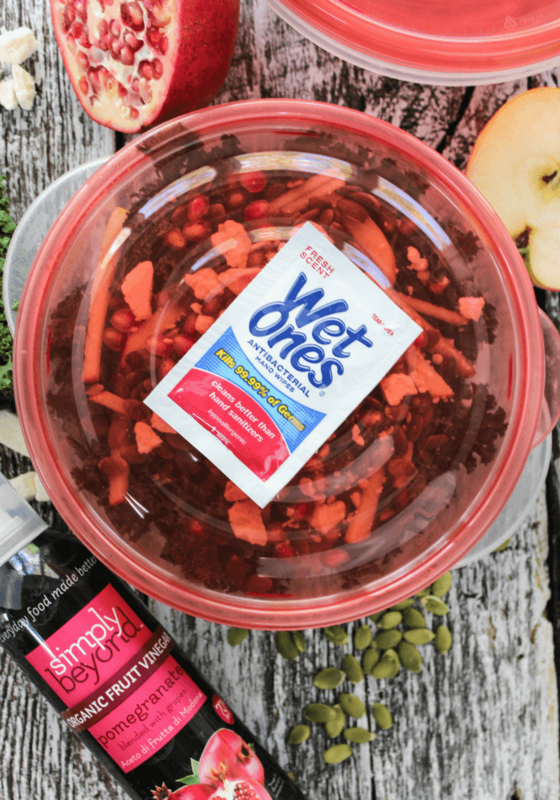 Wet Ones® are also the best addition to the lunchbox to keep hands clean. You can make dinner in a cinch with sheet pan chicken and roasted green beans with olive oil, sea salt, pepper and a spray of Simply Beyond® Spray-On Herbs® Garlic. Place 4 your thinly cut chicken breasts onto a baking sheet with a drizzle of olive oil and a dash of salt and pepper. Bake on 400 degrees for 20 minutes. Remove chicken from oven, turn and add fresh green beans to one side with olive oil, salt and pepper. Now the fun part! 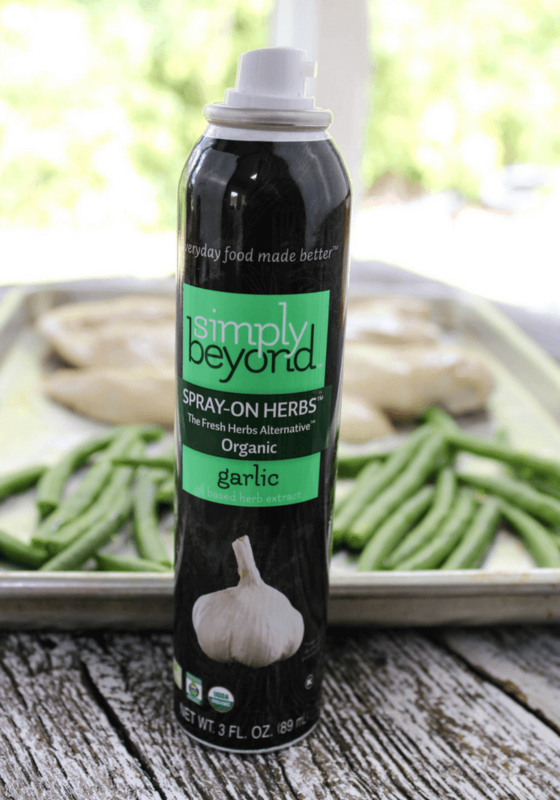 Spray on your Spray-On Herbs® Garlic over both the chicken and green beans. Place in oven another 20 minutes or until chicken is at 170 degrees. 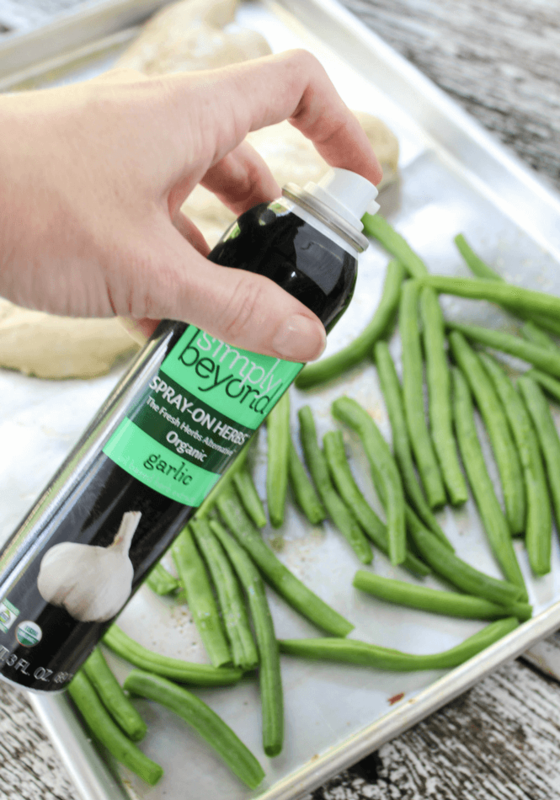 These garlic roasted green beans are delicious! 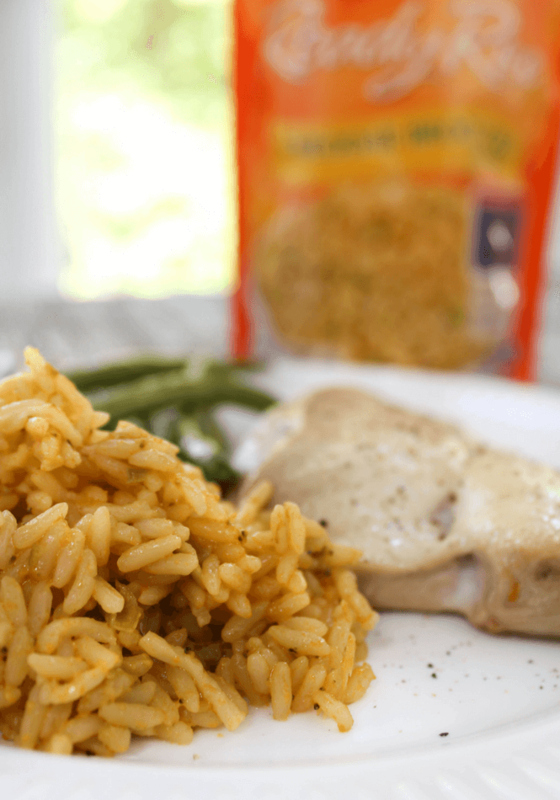 Pair with Uncle Ben’s Minute Rice for a simple dinner that the whole family will enjoy. Simply Beyond® Spray-On Herbs® is life changing! 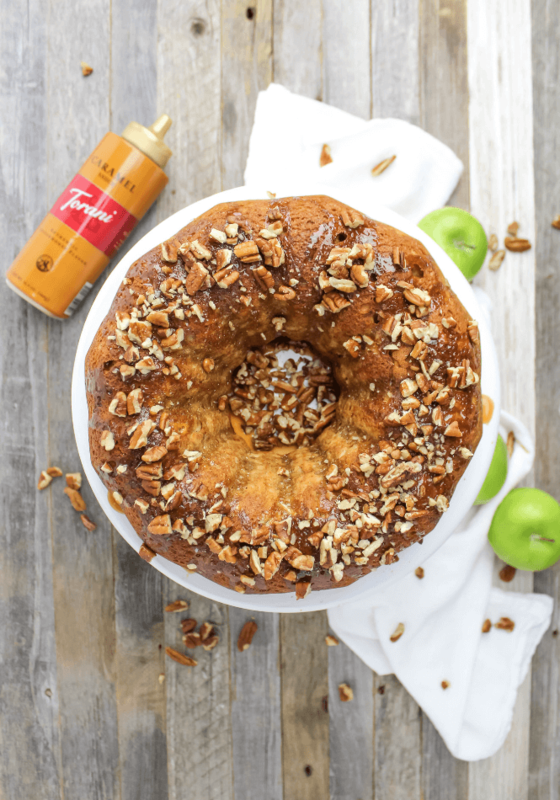 Made with only 2 ingredients in a non-aerosol spray so you can use a little or use a lot for the flavor intensity you desire. Customize everyday dishes with fresh herb flavors from grilled chicken, seafood to sauces, fries and even popcorn! 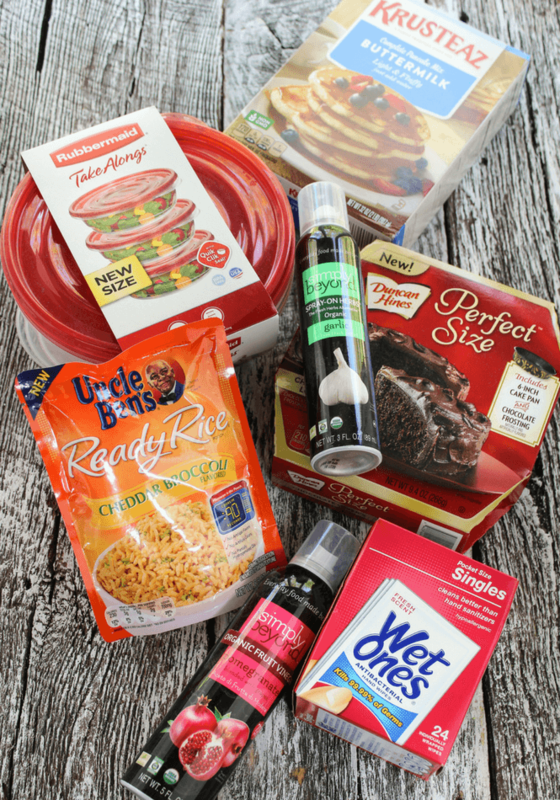 See the full range of Simply Beyond® products and don’t forget to use code babblebox10 for 10% off on all orders through 11/30/2017. 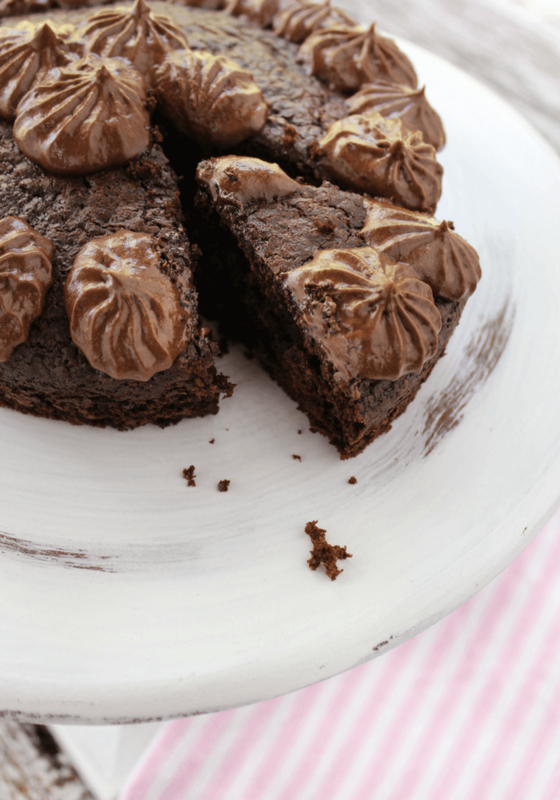 Sometimes a girl just needs a little chocolate (or boy because boys need chocolate too). 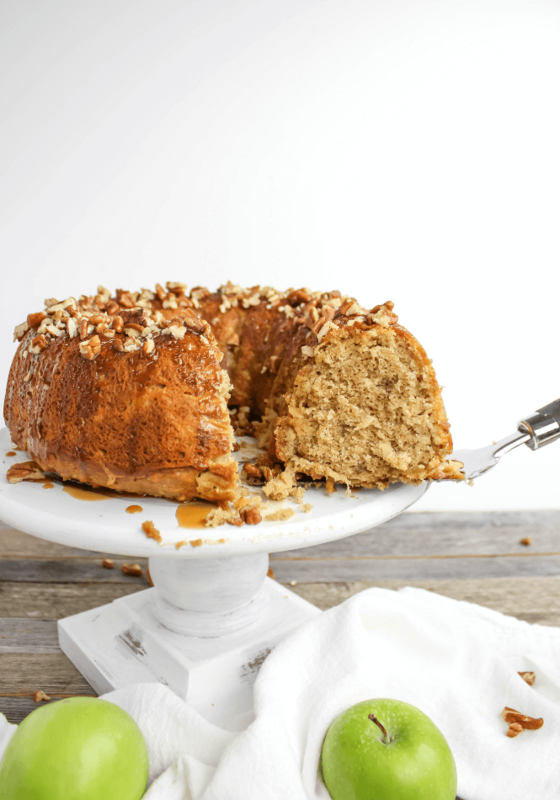 Whip up this Perfect Size cake that serves 5 in under an hour from Duncan Hines! 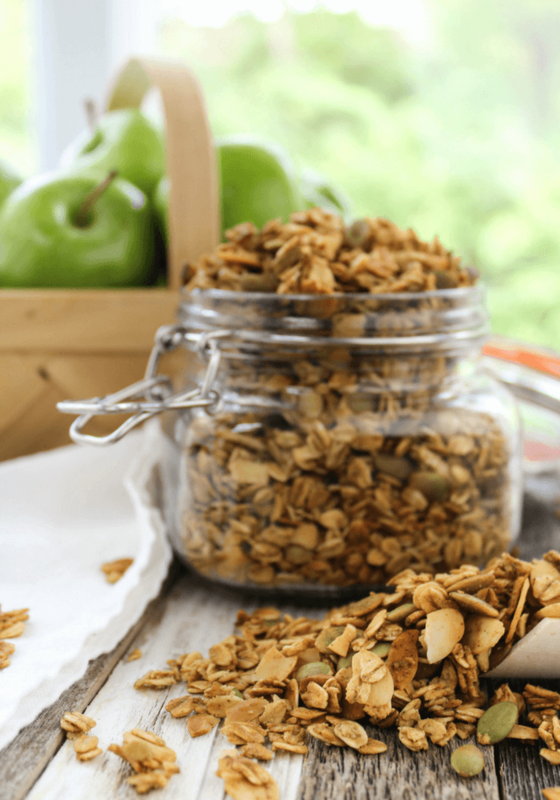 Cinnamon Apple Granola made with oats, almonds, pumpkin seeds, freshly diced green apples, brown sugar, coconut oil, applesauce and cinnamon. The taste is delicious and the smell is wonderful. 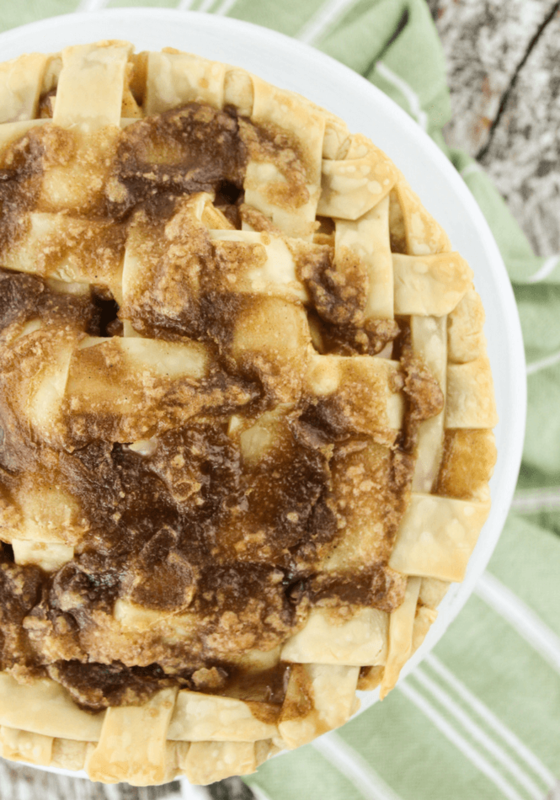 Fall is officially here and the air is crispy, the leaves are changing color and my taste buds are craving… apple pie… for real. 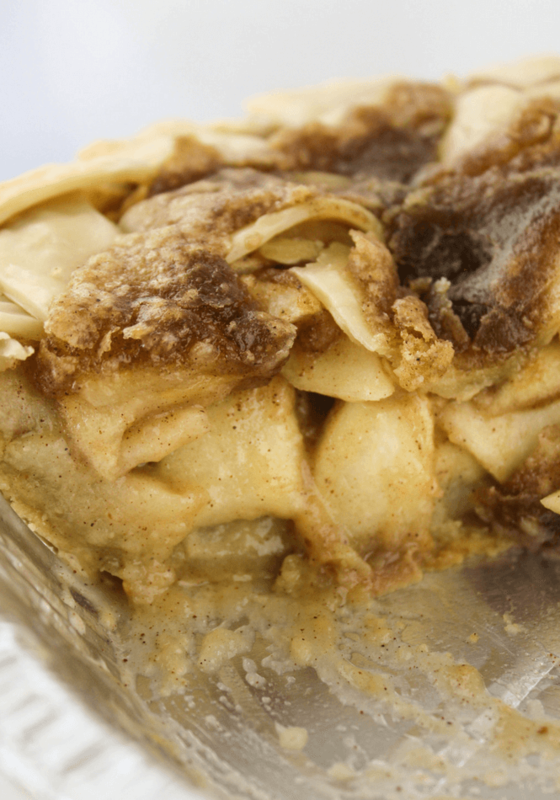 I love Apple Pie during the Fall but my waistline says NO, rather rudely I might add. Need to save those calories for the upcoming Holiday’s. 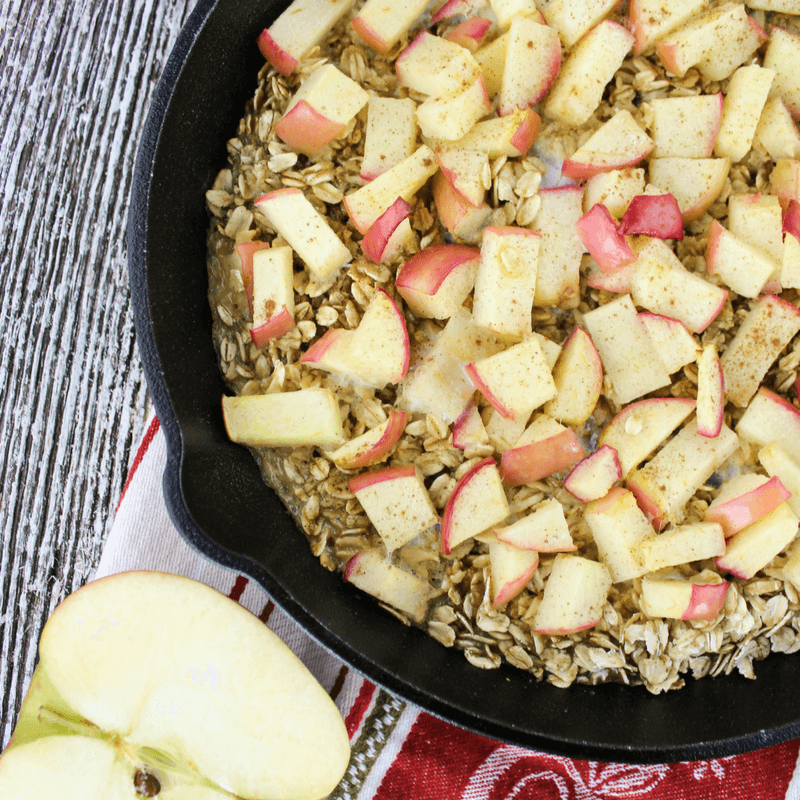 This Cinnamon Apple Granola was inspired by an apple pie with cinnamon and fresh green apples. 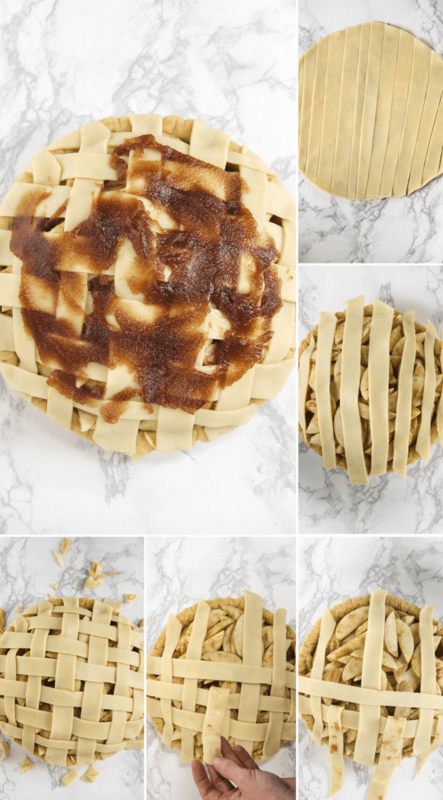 Combine all ingredients together with a whisk and add to your parchment paper lined baking sheet and place into the oven for an hour. 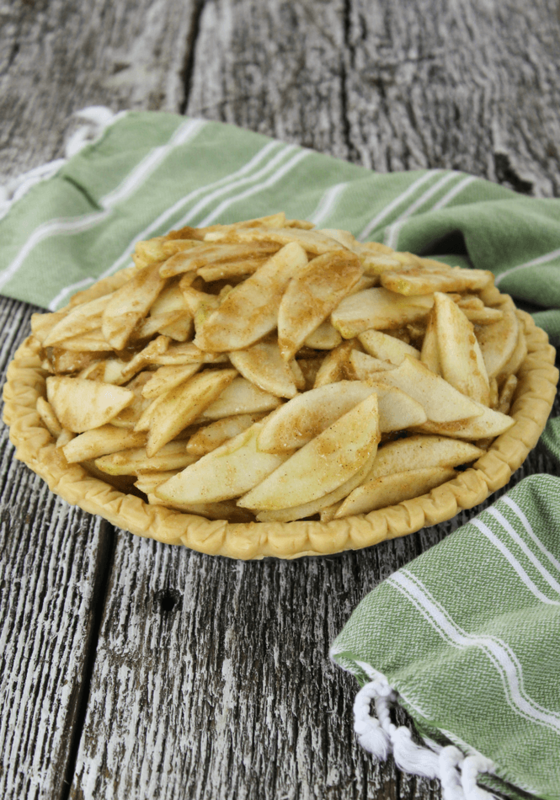 Your house is going to smell like a freshly baked apple pie! It is amazing. 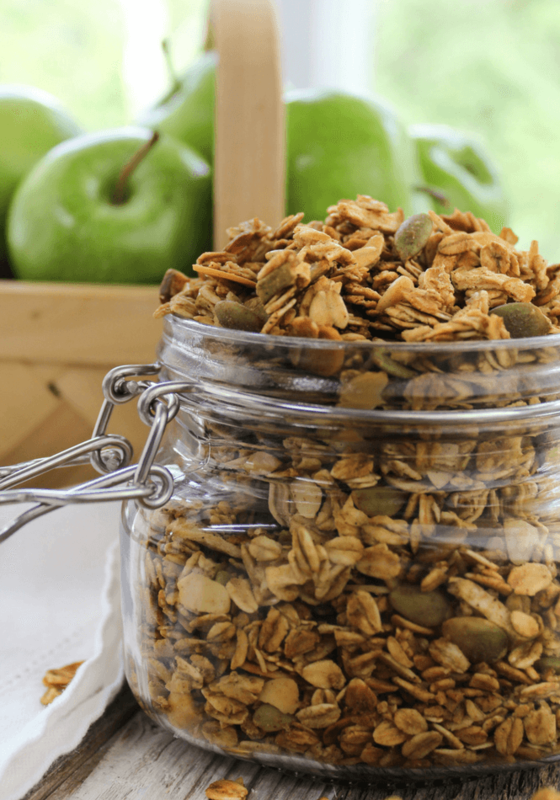 Cinnamon Apple Granola will pair beautifully on top of your morning vanilla yogurt or for a snack during the day at work. You can even place it on some frozen yogurt for a delicious treat. 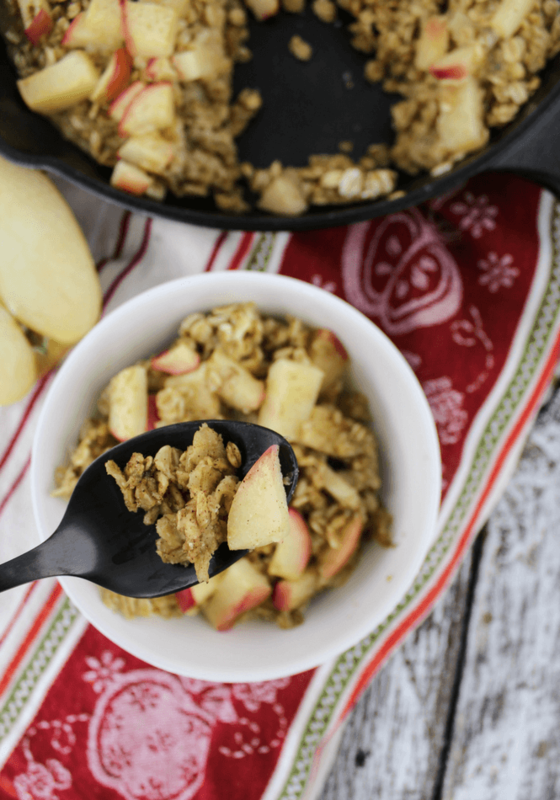 How will you use this Cinnamon Apple Granola? Dice a fresh apple into small pieces. 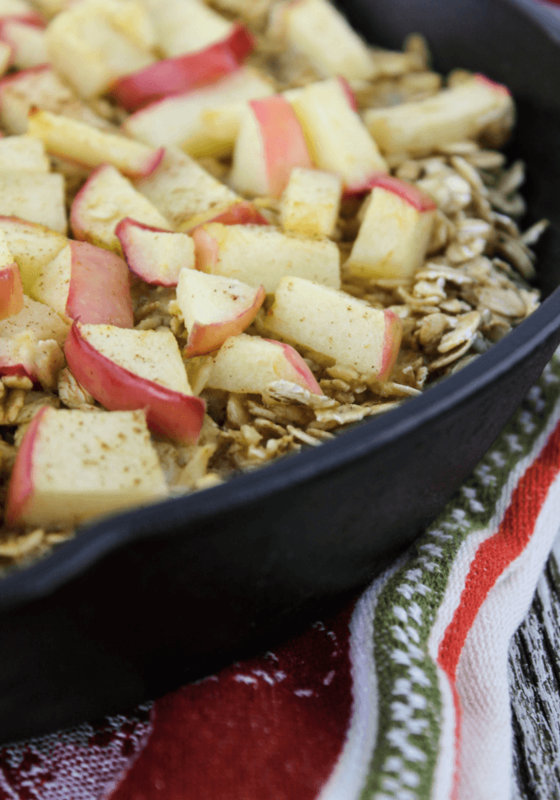 In your dry ingredient bowl, mix oats, almonds, pumpkin seeds, apple spice, cinnamon, salt, brown sugar and diced apples. Microwave your coconut oil for 30 seconds to melt. 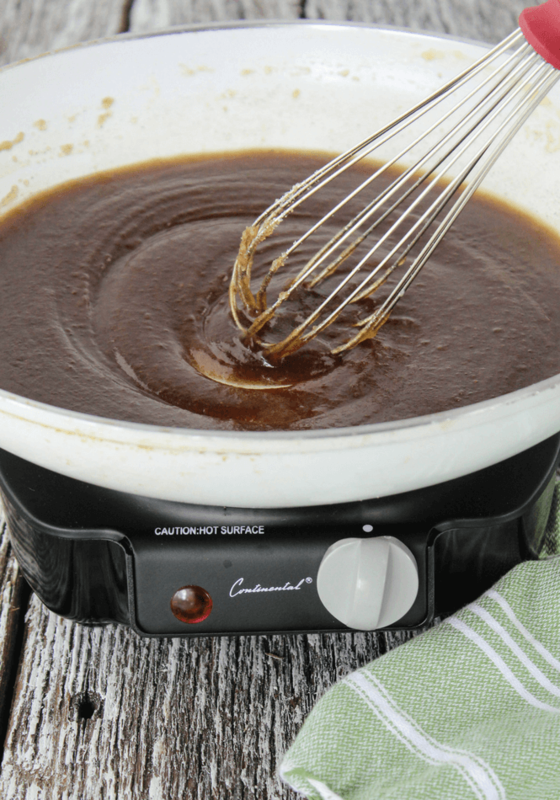 In your wet ingredient bowl, add applesauce, honey, melted coconut oil, vanilla extract and maple syrup. 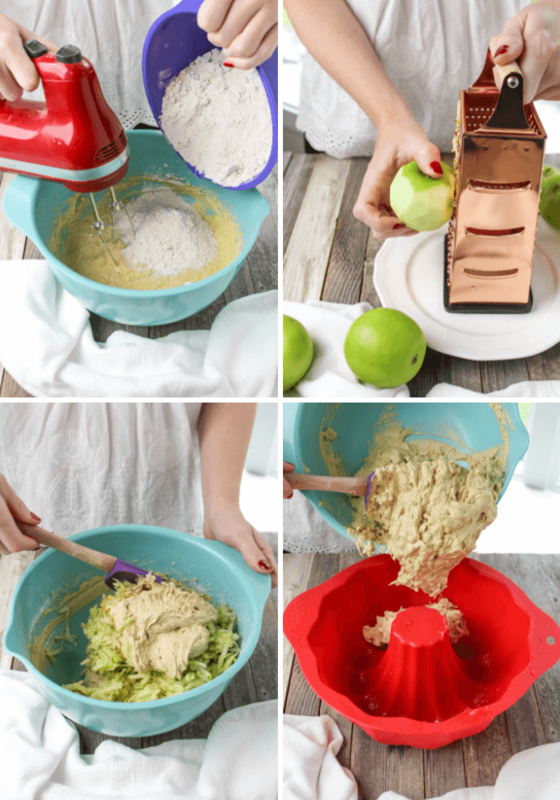 Whisk ingredients together. Stir all dry and wet ingredients together. 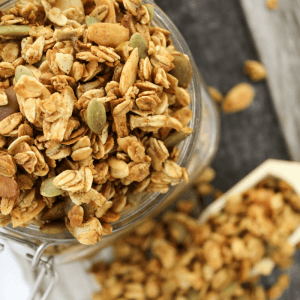 Place granola onto a parchment covered baking sheet. Place into oven for 65 minutes. Mix every 20 minutes. 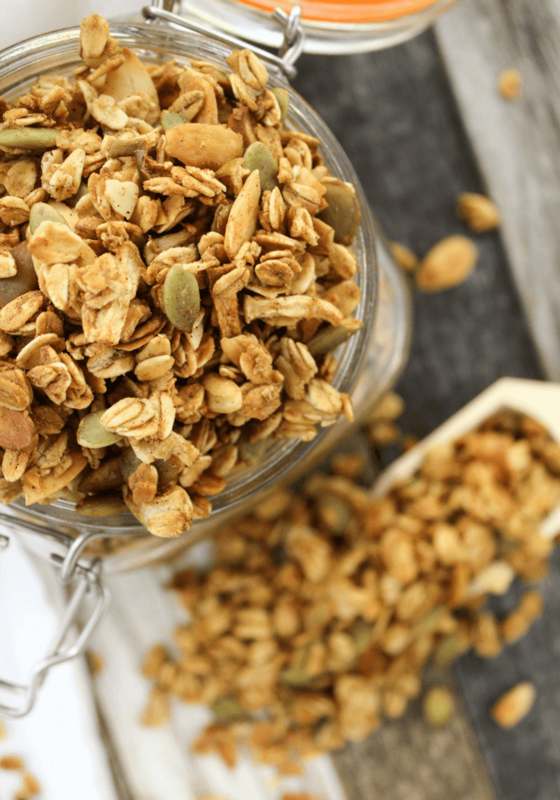 Serve for snack or on top of yogurt.